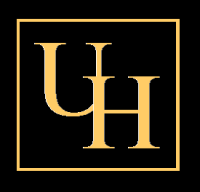 Established in 1999, Urbana Highlands is located in southern Frederick County, Maryland. Frederick County is located in the northern part of Maryland, it lies at the I-270/MD 80 interchange, about 7.5 miles southeast of historic downtown Frederick, bordering the southern edge of Pennsylvania and the northeastern border of Virginia. The county is home to Sugarloaf and Catoctin Mountain Park (encompassing the presidential retreat Camp David) and to the U.S. Army's Fort Detrick. Frederick, which was home to several celebrated historical figures like Francis Scott Key, Thomas Johnson, and Barbara Fritchie. Our green space, nature paths and biking trails, parks, pool, and tennis and basketball courts, along with our 'trademark' entrance waterfall, makes our neighborhood a beautiful and a wonderful place to live. The conveniently located shopping centers include grocery, banking, cafés, many restaurants, spas, convenience store, and a variety of other amenities. Home of the Urbana Hawks, our schools consistently perform above average, we invite you to take a look at what Urbana Highlands has to offer you.